A Makeup & Beauty Blog – Lipglossiping » Blog Archive Introduce your BFF to Smashbox and score a FREE Try It Kit! What with it being the season of goodwill and thinking of others, spare a thought for your BFF (best friend forever!) and invite them along to your local Smashbox counter for a no-holds barred, makeup play-date! Whether you’re looking for advice on a cool smoky eye or hot tips to create the perfect statement lip, the beauty crew at Smashbox will demonstrate how to up the beauty ante this party season. 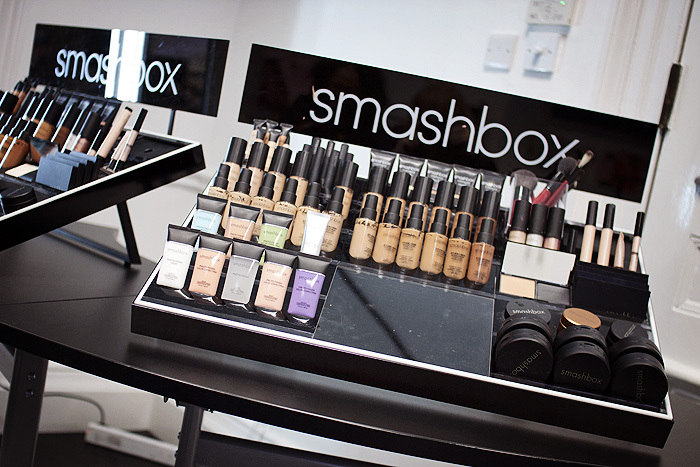 Whilst you’re there, register both your details with the Smashbox team and you’ll both be treated to a free Smashbox Try It Kit * containing some of the brands most talked-about products. Janine used their HD foundation on me and it felt extremely comfortable on my skin, not at all heavy or drying, which is what I was expecting following dalliances with other HD foundations. Having said that, I also felt that the lightest shade was too yellow-toned for my complexion, I got away with it… but the match was definitely not 100% for me. Still, flawless skin ahoy and it did. not. budge. an. inch. all evening. If you’re curious about the line, now’s the time to head into your nearest participating Boots store and check it out. Don’t forget to take a friend! **Customer registration required (including postal address) following a makeup session. One Try It Kit per customer, whilst stocks last. Closing date 31st December 2012. Your Try It Kit will be delivered within 6 weeks of the closing date. Thanks K! 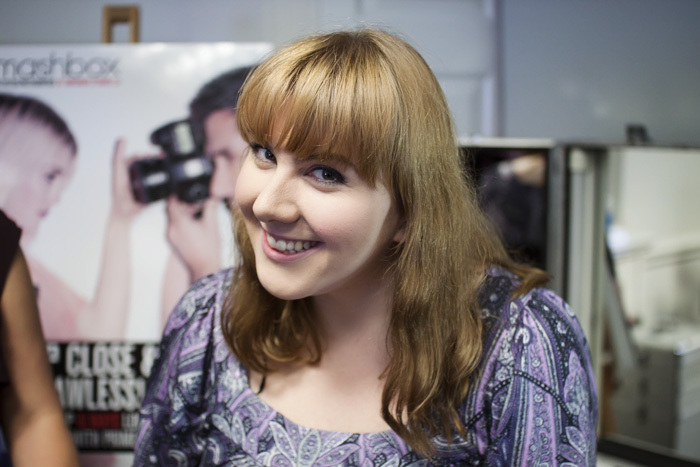 Yes, she did – she used the original primer on me which I thought might be too much for dry skins but it was really good! ooo i wish they did this offer in the US! what a great idea!